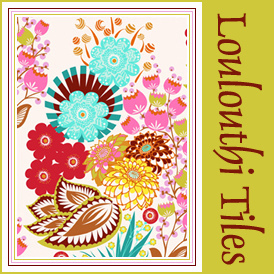 pins and bobbins: Another done - Loulouthi tiles! Another done - Loulouthi tiles! I probably squealed when I saw Anna Maria Horner's latest line, Loulouthi. And immediately ordered a fat quarter set from Brenda at Pink Castle Fabrics. I had a few ideas for these huge prints but wasn't quite happy with any of them until I came across Stitched in Color's Loulouthi Tiles pattern. Just what I needed! Simple, stunning, and fast. Seriously, if you don't have any demanding kids/husband/pets around, you could buy your fabric in the morning and have the top done by bedtime. Mine was pieced over 2 days, with breaks for hiking, visits to the beach, wrangling with the realtor, and the occasional shower. Ummm, and a lot of internet. Probably 6 solid hours of sewing, maybe 5. I switched Rachel's pattern up a bit, adding a column and a row to make a queen size top. I also had to decrease the block size by 1" for everything but the sashing since I had fat quarters and could squeeze 10 1/2" squares out of them but there was no way I was getting 11 1/2" squares. 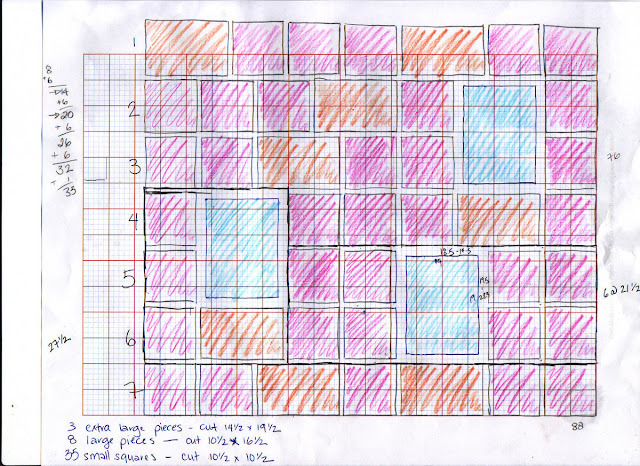 I also added a few smaller blocks, subdividing my 10" squares down into four 4 1/2" squares. And rather than a straight white border I cut my border across the width of the fabric and joined the pieces with random width scraps of Loulouthi. Rachel provides a great layout diagram for the 3 different sizes on her blog, and while some might say it's overkill, I made up a sheet for myself for my layout. I actually really recommend it. 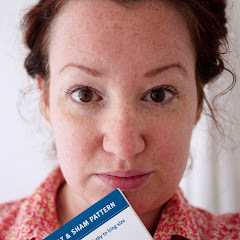 While the pattern is easy it can be difficult to remember exactly where each bit goes and drawing it out yourself really nails it into your brain. So that's it, one more top done. I need more fabric!! I'm not sure how much I'll be blogging in the next little while. We've sold our house, or almost, and the possession date is very, very soon (the 15th!). So I'm going to be doing lots of packing and not much sewing. And then moving in with my parents while we look for a new home! Eeep! Wish me luck! Looks fabulous! It's such a nice way to show off those large scale prints. Gorgeous! I'm hoping to cut into my Loulouthi stash this weekend. I love your quilt!! 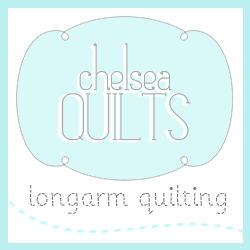 These are gorgeous fabrics - just wondering how many FQ you needed for the QS quilt? Very nice! You make me want to upgrade mine from Large to Queen! What are you thinking for the backing? I'm not even sure where to start. Thoughts?